Hedge Funds Have Never Been This Bullish On UnitedHealth Group Inc. (UNH)? Is UnitedHealth Group Inc. (NYSE:UNH) going to take off soon? Prominent investors are becoming more confident. The number of long hedge fund bets increased by 11 in recent months. Our calculations also showed that UNH is among the 30 most popular stocks among hedge funds, ranking 20th. UNH was in 82 hedge funds’ portfolios at the end of December. 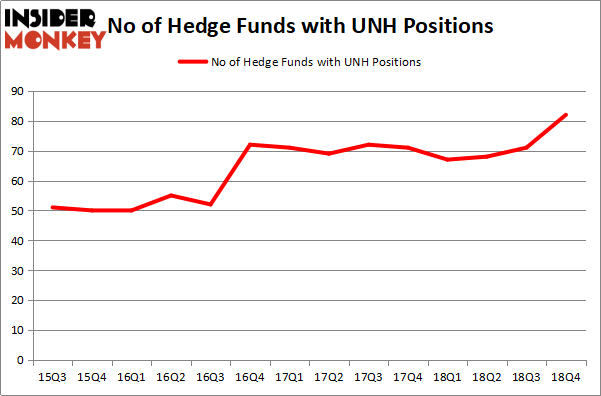 There were 71 hedge funds in our database with UNH holdings at the end of the previous quarter. Overall hedge fund sentiment towards UNH is currently at its all time high. According to most investors, hedge funds are viewed as worthless, old financial tools of the past. While there are more than 8000 funds trading at the moment, Our experts look at the bigwigs of this group, approximately 750 funds. 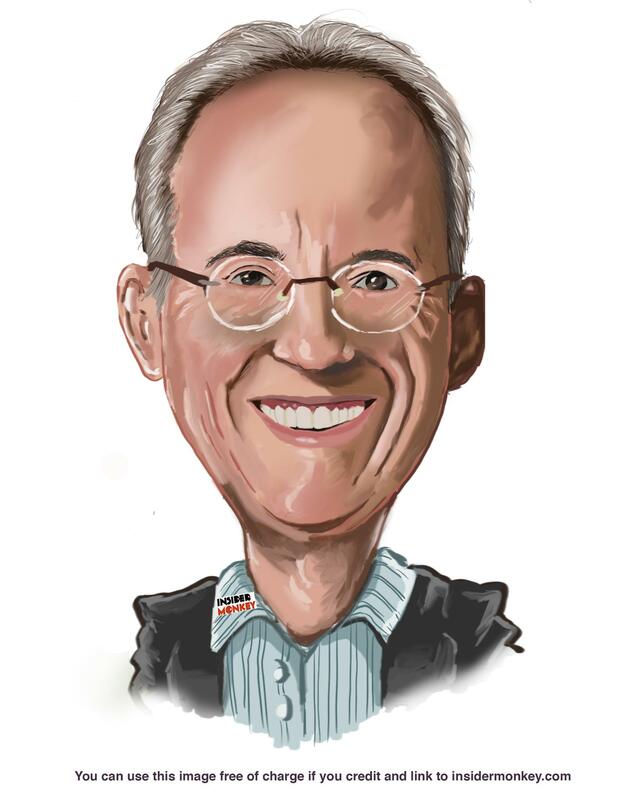 These money managers preside over the majority of the smart money’s total capital, and by observing their unrivaled investments, Insider Monkey has brought to light numerous investment strategies that have historically outperformed Mr. Market. Insider Monkey’s flagship hedge fund strategy beat the S&P 500 index by nearly 5 percentage points annually since its inception in May 2014 through early November 2018. We were able to generate large returns even by identifying short candidates. Our portfolio of short stocks lost 27.5% since February 2017 (through March 12th) even though the market was up nearly 25% during the same period. We just shared a list of 6 short targets in our latest quarterly update and they are already down an average of 6% in less than a month. We’re going to analyze the latest hedge fund action regarding UnitedHealth Group Inc. (NYSE:UNH). What have hedge funds been doing with UnitedHealth Group Inc. (NYSE:UNH)? At the end of the fourth quarter, a total of 82 of the hedge funds tracked by Insider Monkey were long this stock, a change of 15% from one quarter earlier. The graph below displays the number of hedge funds with bullish position in UNH over the last 14 quarters. With hedgies’ capital changing hands, there exists an “upper tier” of key hedge fund managers who were adding to their stakes significantly (or already accumulated large positions). Among these funds, Eagle Capital Management held the most valuable stake in UnitedHealth Group Inc. (NYSE:UNH), which was worth $1263.3 million at the end of the third quarter. On the second spot was Lone Pine Capital which amassed $890.5 million worth of shares. Moreover, Viking Global, Egerton Capital Limited, and AQR Capital Management were also bullish on UnitedHealth Group Inc. (NYSE:UNH), allocating a large percentage of their portfolios to this stock. As aggregate interest increased, key hedge funds have been driving this bullishness. Senator Investment Group, managed by Doug Silverman and Alexander Klabin, established the biggest position in UnitedHealth Group Inc. (NYSE:UNH). Senator Investment Group had $186.8 million invested in the company at the end of the quarter. Brandon Haley’s Holocene Advisors also initiated a $66.5 million position during the quarter. The other funds with brand new UNH positions are Steve Cohen’s Point72 Asset Management, Jim Simons’s Renaissance Technologies, and John Lykouretzos’s Hoplite Capital Management. Let’s now take a look at hedge fund activity in other stocks – not necessarily in the same industry as UnitedHealth Group Inc. (NYSE:UNH) but similarly valued. These stocks are Verizon Communications Inc. (NYSE:VZ), The Procter & Gamble Company (NYSE:PG), Wells Fargo & Company (NYSE:WFC), and Intel Corporation (NASDAQ:INTC). This group of stocks’ market values are closest to UNH’s market value. As you can see these stocks had an average of 66 hedge funds with bullish positions and the average amount invested in these stocks was $10408 million. That figure was $6875 million in UNH’s case. Wells Fargo & Company (NYSE:WFC) is the most popular stock in this table. On the other hand The Procter & Gamble Company (NYSE:PG) is the least popular one with only 60 bullish hedge fund positions. Compared to these stocks UnitedHealth Group Inc. (NYSE:UNH) is more popular among hedge funds. Our calculations showed that top 15 most popular stocks among hedge funds returned 19.7% through March 15th and outperformed the S&P 500 ETF (SPY) by 6.6 percentage points. Unfortunately UNH wasn’t in this group. Hedge funds that bet on UNH were disappointed as the stock returned 1.3% and underperformed the market. If you are interested in investing in large cap stocks, you should check out the top 15 most popular stocks as 13 of these outperformed the market.